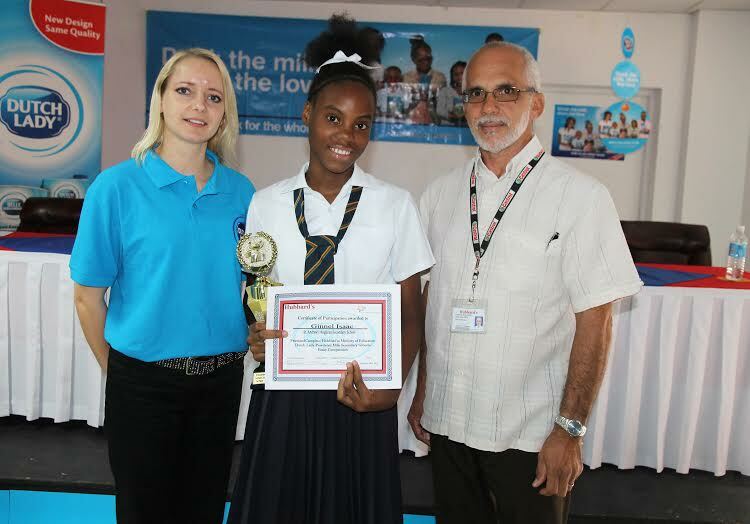 St. Joseph’s Convent St. George’s is the winner of the 2013 “Dutch Lady” Milk Culinary Competition. Ten teams had to prepare three dishes in front of the judges and an audience. “Dutch Lady” Milk had to be included in the preparations. The SJC team members were presented with their prizes at the closing ceremony held at the National Stadium on Friday, 24 January 2013. Prizes include training attachments at local hotels. Noting the growth from year to year, Managing Director of Hubbard’s, Allan Bierzynski, said he is pleased with the level of support received, in particular from the hotel industry. First place prizes were also handed out to the Holy Innocents Primary School for the Poetry Competition, St. Andrew’s Methodist for the Primary Schools’ Essay competition, and St. Andrew’s Anglican Secondary for the Secondary Schools’ Essay Competition. “I can tell you, our young students have a lot of writing skills, and that was displayed in their poems,” she remarked. 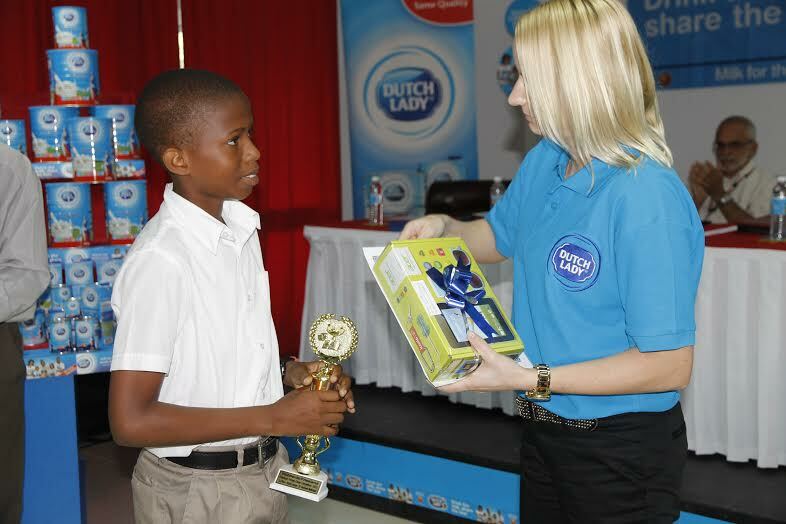 The 2014 “Dutch Lady” Poetry, Essay Writing and Culinary Competitions were launched by Hubbard’s Managing Director, Allan Bierzynski, at the ceremony on Friday, attended by the Area Export Manager from FrieslandCampina Export, producer of “Dutch Lady” Milk.